Praise God that Trevor returned home earlier this week. The adjustment to life at home has been good so far, but it will likely be a long road to recovery. Please pray that Trevor and his family will continue to experience the peace of God like Psalm 46:10a says: "Be still & know that I am God". Please pray for Daniel and Alicia Hailu. Alicia is in hospital with complications for her pregnancy. The pathway forward is unclear and they are asking for God’s strength, peace and presence in this uncertain time. Isaiah 41:10 reminds us of the heart of our God. "Don’t be afraid, for I am with you. Don’t be discouraged, for I am your God. I will strengthen you and help you. I will hold you up with my victorious right hand." Ollie is back at home in his favorite chair eating his wife's cooking instead of hospital food! He is very happy to be home again but is still weak and resting a lot. Thank you Lord for Your many blessings! Ollie has been up and walking around, and feels like he is on the road to recovery. The family is incredibly thankful to our Heavenly Father for his hand on Ollie, as well as to the church family for your encouragement and covering them in prayer. Ollie enjoys visitors, but knows he must pace himself. If you wish to stop in and brighten his day, the family asks that the visits not be too long at this point! Evelyn has her new pacemaker and every indication is that we will finally be going home together this afternoon. She will continue with daily antibiotics until early May. I'm nominated to be trained to do this at home rather then going to Waterloo to have it done at the LHIN office. PTL! God is so good! Thank you everyone for the love and support over the past week and a bit. While the week has had its fair share of ups and downs we are grateful to have a healthy baby boy and see some progress in Katelyn's healing as well. Please pray for the days ahead, that we would take each day as it comes trusting that God would give us the strength, energy and patience we will need in the journey ahead with our dear Malakai. We can't wait to share him with you all! Thank you so much to everyone who has been praying with us as we awaited the results of the brain tumor biopsy for Elmer. Glioblastoma is the official term. It is not the answer we were hoping for, but we are trusting that we are still in the safe strong hands of our heavenly Father. We will proceed with 3 weeks of daily treatment in Hamilton, likely to start within the next couple weeks. A specific prayer request would be for accommodation in Hamilton for Vera (and Elmer too if he is treated as an outpatient). Dr. Hooper in London’s Ivey Eye Institute checked my (Les) operated eye and recommended a vitrectomy on my left eye as well so they will call me for that to happen in the first half of May. We thank all you who have expressed concern and continue to pray. Evelyn was told mid-morning that there are other priority cases today that bumped her to the top of the pacemaker list on Friday. Today they plan to move her PICC line to the left side so the pacemaker can go on the right side. Please continue to pray for Paul and Evelyn during this time! Thanks for your continued prayer support. Many thanks for your meals, cards, phone calls, visits and much more. Nan had her introduction to the rehab program on Monday, April 9. She sees a cardiologist/nurse and has a stress test the week of April 15. We will have more information after these visits. The Lord is indeed good! His love never ends. The surgeon performed a triple by pass operation on Ollie today, as well as replacing a valve in his heart. The surgery went well, and the family was able to see him briefly after the surgery. Please pray for this long recovery. The family is reminding themselves to no just petition to God today, but to also give praise and thanks to Him for His goodness throughout this journey. The cardiologists decided that Evelyn should not go home without a pacemaker, so she is scheduled to have a new one installed this Wednesday (April 10). The doctors are satisfied with the blood work that has indicated no bacteria so the risk of reinfection is low. Hopefully Evelyn will be able to come home later this week. The Lord is good! Ollie Shantz will be having his heart surgery at 11:00 Monday morning. Please pray for the medical staff as they perform this delicate surgery as well as for Ollie as he goes through this procedure and as he recovers in the days to come. Congratulations to Gareth & Katelyn Martin on the birth of their son, Malakai Timothy, on Tuesday, April 2! Susanna Brubacher (Joy Frey, Dale and Darrell Brubacher's mom) finished her four weeks of radiation treatment on Monday April 1st. Her recovery after her Jan 3rd surgery took longer than expected, so we are thankful this is behind her once again. Thank you for your prayers. Evelyn has been "entertained" by watching Ollie's visitors going by her door (Rm 161) as she is just around the corner from Ollie (Rm 169). Seriously though, please pray for Evelyn too as her heart rate has become a concern since the pacemaker has been removed. We hope that will stabilize. Please continue to pray for Ollie and Elsie Shantz. Ollie will be having further surgery on his heart at the beginning of the week but which day has not yet been determined. He is in good spirits and is able to have company at this point. He is at St Mary's hospital. They are trusting God and know He is in control. We are praising God after hearing some positive news regarding Marlene's health on Tuesday. Marlene has been struggling with severe headache attacks for the past several months. After working with a neurologist and having her brain activity monitored for a number of days in London, the doctor's have diagnosed her with having "occipital neuralgia" which is a pinched occipital nerve. Marlene has received an injection and although we have yet to see positive results from that, we hope to see some improvements soon. Please pray for this. Thank you for your concerns and prayers in the uncertainty of the past months. Please be in prayer for Ollie and Elsie Shantz and their family. Ollie was admitted to St Mary's Hospital yesterday (Monday) morning with shortness of breath, tight chest and very high blood pressure. He is being monitored and will be undergoing surgery today. How extensive the surgery will be is undetermined at this point. Ollie is very much at peace knowing he is in the hands of a good, good Father. Thank you for praying with us! Elmer was transferred to Grand River hospital today and is ready for visitors - just call first 519-210-3747. He is regaining strength each day and is encouraged by the prayers and support of the WBC family. The next stage of treatment for the cancer is yet to be confirmed, but we are trusting that God will provide according to His good plan. We returned from our week long vacation on Saturday evening. We had originally planned a two week vacation, but because of Dave's tests, we decided to shorten it to a week. God's hand was definitely in that decsion, because as it turned out, we found out on Sunday that my (Agnes’) dad, who is 87 years old was admitted to the hospital for breathing problems. We don't know what the cause is. I spent about 4 hours at the hospital yesterday with my parents. It was heart wrenching watching him struggle to breathe. This evening he was moved into a private room, and so someone can stay with him. My younger brother was at the hospital this evening and advised us that if anyone wants to see him, they should do it soon. I'm glad I was there yesterday, as tomorrow (and potentially Wednesday) we will be at St. Mary's hospital for Dave's tests. I hope to take our family to see my Dad for what could be the last time. Dad has expressed a desire to 'go home'. Your prayers are coveted during this time, as our family has a lot on our plate right now. Last Thursday I came home from the hospital in London, hoping everything would be done now. However, as I walked into out kitchen blood ran down my leg and after removing my pants I saw that the dressing was soaked with blood. I phoned London and they said to get a bandage. Our daughter Rini has been putting a bandage on every day, sometimes twice a day. I phoned the hospital again this morning and I'm supposed to come in on Wednesday and have the surgeon check the incision to see what is wrong. Prayers would be appreciated. Life is interesting, to say the least. But we continue to rejoice in the Lord, and, as we used to say, "grin and bear it." Ha. Congratulations to Rob & Emily on the birth of their daughter, Avery Claire, on Friday, March 29! Today we received the doctors decision to remove Evelyn’s pacemaker with the infected leads on Wednesday. Because it is less than a year old the procedure can be done at St. Mary’s, rather than Hamilton or London as first suggested. We are hopeful that Evelyn can go home later this week where antibiotics will continue for 6 weeks intravenously with a pic line. Please pray that this bacteria will be successfully cured. Please pray for Joanne as she goes for cataract surgery this coming Wednesday, April 3. Thank you for praying for Elmer as he underwent surgery today in Hamilton to remove a small brain tumor. The surgery went as planned, however, preliminary reports indicate that additional treatment should be expected. We anticipate the need to remain in Hamilton for a few days but are taking it one day at a time. We are feeling very well taken care of and have a great appreciation for the love and care of our WBC family! Evelyn is still at St Mary’s Hospital where she continues to receive antibiotics by intravenous to treat the bacteria that was discovered in her blood a week ago. Further examination determined that the bacteria is adhering to a section of the pace maker leads near her heart. We are still waiting to learn the collaborative decision of the cardiologist and the specialist that inserted the pace maker about a course of action. Evelyn is getting weary of being in the hospital while she feels well other than knowing she needs to be where she is. She is in 3E Room 161 and can receive calls at 519-749-6579 Ext 6642. Your prayers are highly valued. An update on Nan and her recovery from a heart attack a few weeks ago: After attending a senior’s outing, Nan experienced a racing heart. We will continue to rest at home. We are thankful for your prayers. Congratulations to Jeremy & Bridgette on the birth of their son JACKSON SAWYER on Friday, March 22! Charley is very excited to be a big sister! The surgery date for Elmer has been set for this Friday, March 29 at Hamilton General Hospital. We anticipate the possibility of several days in hospital. Thank you so much to everyone for praying - your prayers are making a difference! On Friday Evelyn was admitted to St Mary's Hospital because of a suspected blood infection. This was discovered after blood work after Evelyn told her cardiologist about recurring low grade fevers for several weeks. She is being treated twice daily with antibiotic and there will be an internal ultrasound of her heart to see if the inflammation has reached her heart. Her earliest release date is Monday/Tuesday. She is as comfortable as a hospital allows. On April 2, I'm going for a Cardiac catheterization procedure to examine how well my heart is working. The doctors are trying to determine whether one of my valves that is leaking should either be repaired or replaced. The test result will determine whether later that day, I have an angioplasty, used to open blocked arteries and restore normal blood flow to your heart. Please pray that I won't experience too much anxiety, that my blood pressure goes down, and that the right decision is made as to whether to repair or replace the valve that's leaking. Lydia would like to express her thanks to everyone who has been praying for her as she went through cataract surgeries this winter. She is still in a period of adjustment, however, is pleased to report that she now sees well enough to quilt again! Update on Nan: She was released from hospital today (Saturday). Please continue to pray for healing. Please pray for Nan as she recovers in hospital after suffering a heart attack on Wednesday (13th) evening. Trevor's transition home after discharge last week was very rough. He found it hard to sleep and to concentrate on regular things of daily life. He had similar symptoms that brought him to the hospital in the first place so we thought it would be best if he went back to get more help. Please pray that he would get the help he needs as we reset and try again. Pray for those providing care and support, as we are getting tired and drained from all of this. *Update as of March 4: MRI results show a small/simple brain tumor. We’re now waiting for an appointment to consult with the specialist in Hamilton to determine treatment. Thank you so much to everyone for praying! Elmer is currently in hospital undergoing tests to determine the cause of stroke-like symptoms he experienced on Thursday afternoon. Please pray for healing for Elmer and strength for the family. Thanks for your prayers. The Doctor gave me (Les) the green light to drive again following successful eye surgery. He wants to wait another six weeks to see how the operated eye functions before doing the other one. Les is like a 16 year old with his license! Congratulations to Jordan & Julissa on the birth of their daughter Layna Grace! She was born at 7:45 am, weighing 9 pounds 2 oz and 22 inches long. Please pray for Richard who continues to live with severe hip pain. His surgery (third one on that hip) that was scheduled for this coming Tuesday has just been delayed until March 26. I (Dave) found out this week that I have to have heart surgery. I have a valve that either needs to be replaced or repaired, depending on the results of several tests I have to have over the next several weeks. Please pray that I don't experience too much anxiety before each of these tests, and that the valve needs only to be repaired. If it needs replacing, it will be open heart surgery that I'll need. Praise the Lord for a successful vitrectomy on Les’ right eye on Tuesday. He can now read and will see the doctor in London next week for the results of the virus analysis and get an appointment for his other eye. Thanks to all who are praying. He didn’t even cough which was huge since he had been battling it for three weeks. Mom hasn’t had many visitors this week due mostly in part to weather. My brother talked to her tonight (Friday) and she was very discouraged. Please pray for some good weather so people can visit. Please also pray for an opening soon at Freeport or St Joseph’s for rehab. Praising God that Diane’s (knee) surgery date has been moved up to April 9. Requesting prayer for our Mom, Reta Brubacher, mother of Marvin (Darlene) Brubacher, and Ann Martin (Brian). Mom suffered a severe stroke and is paralyzed on her right side and is no longer able to communicate. We are cherishing our last days with her. Today I (Les) was given a tentative date for the first of two eye operations in London for February 19. Pray it will be successful in removing the ocular liquid containing the virus, from one eye. Please pray for Joanne’s mom as she is in the hospital. They have detected an irregular heartbeat and will be getting this checked out. Depending on what the doctors find will determine next steps. Pray for both Joanne and her mother during this time of unknowns. Thanks for keeping us in your prayers. Glen is comfortable and dose not have much pain which we are thankful for. He is up and about with a walker. He welcomes visitors as the days get long for him to sit at home. Thanks for caring. Luke has just returned home after serving for several months on board the Africa Mercy Ship. Please pray for Luke as he adjusts to life back in Canada. (Refer to Feb 4 post for background.) Matt’s dad is slowly making progress. They didn’t need to intubate him, which was a huge answer to prayer. The doctors are hoping to get an MRI done to see if there is infection on his spine as well, however Bob still struggles to breath when laying down. Thanks for praying we were very happy to see him awake and talking today. I (Les) am waiting for the London Eye Institute to call me for my eye surgeries to remove the ocular liquid where the virus is that made me lose partial vision. As far as the slight stroke I had 10 days ago, I am fine. At present I am getting over a bad cold. Thanks for praying! Please pray for Bruce and Diane as they process the news that Diane’s knee surgery being cancelled at the last minute. The tentative rescheduled date is May 14. Please pray for Elaine as she had surgery yesterday (Monday). Doctors are pleased that the surgery went well, but it will be longer recovery than anticipated. Elaine is at Grand River hospital until Thursday if all goes well. We are not alone on this journey. Praise the Lord for his peace and strength and healing. *Refer to previous posts for more information. Brian came home this afternoon (Monday). We are thankful for a successful lavage and recovery. Thank you for your prayers! Matt's dad is in ICU in stable condition, however struggling to breathe so they will be int-abating him so he can rest easier. Doctors state there is some form of infection in his lungs and possibly heart, he already struggles to breath with having COPD. We are traveling down to New Hampshire today, Monday, to be with the family. Pray for safe travels, and for Bob's health to improve. *Refer to post from January 30 for more information. *Refer to post from January 29 for more information. Lets continue to pray for Brian and Ann during this time of recovery, that they would feel the Lord’s peace and strength through it all. Please pray for Glen who had a work related accident last night (Tuesday). He has been taken to Hamilton hospital for surgery to deal with a broken hip. UPDATE as of January 31: Glen’s surgery finally happened Wednesday at 7:00 pm. It went well and he was up in his room by 11:30 pm. Thank you to everyone for praying! Please pray for Brian as he goes in for another lung Lavage in Toronto this Friday. Brian & Ann and their family appreciate the prayer support of the WBC family! Please pray for Lydia as she goes for cataract surgery this Tuesday, January 29. Pray that she will know God’s peace and comfort each step of the way. Please pray for Les Frey who suffered from a micro stroke on Saturday, January 26. He will be undergoing some more tests to find the cause of the stroke. Les is doing okay, but let’s be in prayer for both Les and Sharon, that they would feel God’s peace and strength through this time. Please continue to pray for my Mom - she is in the hospital. Pray not only for her physical healing, but also for her salvation. For my praying friends. I saw a cardiologist in London today and he gave me the ok for my hip surgery. I was afraid that my aorta aneurysm might be too dangerously large, but he assured me that there is no problem and I am safe. The surgery on my hip, the third one, is scheduled for Tuesday, Feb.26, my wife's birthday. So, she will have a party here at home and I will have my "party" in the operating room in the hospital, how nice! :-) Please pray that the specialist shall be able to fix the hip now once for all. Thank you. Les’ visit to the eye institute in London on Wednesday confirmed that several weekends ago his eyesight was attacked by a virus. Some testing has been done. An angiogram of his eyes revealed inflammation which has been causing partial loss of vision in both eyes. Blood is being analyzed to see why his immune system did not combat this virus. In the next week or so they will perform 2 day-surgeries, one for each eye, to remove the eye gel to analyze it concerning the virus. Fortunately there has been no retinal damage. Pray for us as we wait and go through this time. The hardest part has been to not to be able to read or drive. Thank you for praying for Diane who was hospitalized briefly while on a recent trip to Florida. She arrived home safely this past Tuesday. We want to praise God for the healing that has taken place (in Vera’s back) and trust Him for continuing the process. We have been truly blessed and are very grateful for the help and support we have received from our WBC family. We look forward to being more involved again soon. Ron is planning to travel to Puerto Rico, Lord willing, with TeamWorkers (MSC) February 17 to March 2 to help with renovations at the camp. They are looking for additional participants either to go or to be supportive in prayer and/or financially. If more information is wanted contact rldbwy@golden.net. Diane is in Florida with her mom, and has had unusual pain for a few days. She is in a Clearwater hospital on antibiotics while they investigate, but they no longer think it requires appendix surgery. We would appreciate prayer for understanding of the problem and for health to travel home next week. To our church family: Thank you for all the prayers, visits, food and support you have given our family this past 9 months. It has been a hard journey. But we are thankful for each one who walked with us. God has shown us His faithfulness through each one of you as you supported our family. We ask for your continued prayers as we begin to figure out the ‘new normal’. Please continue to pray for Calvin & Tammy and for Marty & Erika as they mourn the loss of Tammy’s father, Erika’s grandfather, Allen Martin who passed away early this afternoon. Visitation is at Floradale Mennonite Church, 22 Florapine Road, Floradale, on Thursday, January 10 from 7-9 pm, Friday, January 11, from 2-4 pm and 7-9 pm. A memorial service will take place at 2 pm on Monday, January 14, at Floradale Mennonite Church. A private interment will take place at Floradale Mennonite Cemetery prior to the service. Thank you everyone for praying for Darrell as we've been awaiting his 2nd nasal surgery to correct his breathing and congestion issues. After two rounds of antibiotics, the Dr feels that a 2nd surgery is not necessary and a daily nasal spray to be used indefinitely will help to reduce the inflammation and congestion. His next follow-up will be in 8 months. Darrell is feeling some improvement and hopeful for more. We are thankful for this news and for your prayers. Shirley is pleased to share that her latest report showed no cancer in the lymph nodes. This means that she will not have to do chemo. She will likely start radiation treatment sometime mid-February. Thank you for praying for Shirley and their family during this challenging time. Please pray for Calvin & Tammy Shantz and family, as Tammy’s father, Allen Martin, is in palliative care. Pray that Tammy’s mom, Pauline, and the rest of the family would feel the Lord’s comfort during this time. Please continue to pray for Doreen Shantz's father who is home again after a three and a half week stay at Grand River. He is still weak but learning to get around with a walker. Pray for wisdom for the family as they care for their aged parents who are still living in their own home. Russ and Meredith Martin and family have arrived safely in Singapore. Praise God that the journey went well. Thanks to all for your prayers. Continue to pray for the many transitions that are still ahead of them. Dave & Norma wish to thank the church family for all of your support & prayers. The prayers have definitely been felt as we have walked this journey for the past few months. Praise God for the arrival of Penny Mirella on Christmas Day! Please be in prayer for Tim & Kerry Shantz as they mourn the loss of Kerry's father, Harvey Scott who passed away this morning. Please pray that they would experience Emmanuel, God with us, in a very real way this Christmas. Visitation is on Friday, January 4, 2:00-4:00 pm, 7:00-9:00 pm at Dreisinger Funeral Home. The funeral is on Saturday, January 5, 11:00 am at Gale Presbyterian Church in Elmira (corner of Church St and Barnswallow Dr). Click here for the obituary. Please pray for Wally as he goes in to Grand River hospital on Thursday, December 27 for a major test for his breathing. Please pray for God’s strength and peace each step of the way. Wally & Elaine appreciate the prayers and support of the WBC family! Praise God for the arrival of Maxwell Brian Voogd! (Born December 20th - via C-Section, weighing in at 8lbs 3oz). Max is in NICU for some breathing issues but is rapidly improving. Please pray for Juli’s and Max's recovery and that Max continues to improve and can leave NICU in the next few days. We thank God that we felt His protecting Hand surround us as a family during this time. María Almendarez ‘s father in Nicaragua has passed away. Maria and their daughter Gabriela are flying at 6:00 am tomorrow (Saturday) to attend the funeral this Sunday. They plan to return to Canada January 2. Please pray for protection as Nicaragua is quite unstable and it has been four years since Maria has seen her family there. Pray for all the family as they grieve their loss. Dexter, DexterJr. and Rachel are all staying here. Today marks the last of Jen's radiation treatments. They are rejoicing that this journey is complete. God is good! Thank you for the love and support you have given to our family by way of prayer, visits, food, phone calls and much more during Lloyd’s illness and passing. It was five years ago in January that he had a stroke and you helped him bear his burden and filled his journey with joy. As a church family lets surround Dexter and Maria Almendarez and their family in prayer. Maria's father is in hospital in Nicaragua with multiple serious medical conditions. It is heart wrenching to be so far away with travel into the country difficult at this time. Lets pray that the God of comfort will surround this family and Gods hand will be Maria's father that he will turn to the saviour to meet his physical and spiritual needs. Update to December 14 entry: Brian has been discharged at 11:00 am this morning and we are home. He is recovering very well. We are thankful and amazed once again at God's goodness. My (Doreen's) dad had four serious nose bleeds which left him with a dangerously low blood pressure. He is stabilized and doing better but is still quite weak. He has been in ICU at Grand River all week. Continue to pray for healing for him. Brian went into surgery at 1:15 pm today to treat his lung. They finished by 3:30 pm which was 2.5 hrs ahead of schedule!!! It's was a pleasant surprise to see the surgeon walk into the waiting room with a big smile on his face. He said everything went much better than they imagined it could go. Thank you for the power of prayer. He will be in recovery for approximately 2 hours. Thank for all the prayer support. We feel strong and uplifted. *Refer to post from October 4 for more information. Susanna Brubacher (Joy, Darrell and Dale’s mother) is scheduled for more surgery on January 3rd, 2019, after which she will start radiation treatment. Please pray for her continued strength as she undergoes treatment. Please continue to pray for Shirley as has just learned of the need for another surgery to treat breast cancer. She will undergo day surgery on Thursday, December 20. Please pray for my Mom. She is having some health issues, and has said she doesn’t want to be alone. She has a lot of inflammation and pain, she also had a fall last Sunday, she didn’t break anything, thankfully, but I think this just added to everything. Please also pray for her salvation. Please be in prayer for the Marten’s family. Cornelius and Susana and the children have returned to Mexico for a couple of months. Susanna's father just passed away. They will be staying to help the family as they process their loss. Thank you so much to the WBC Family for your prayers for Norm and I as we travelled to Sudbury last weekend to be with my mother, Anita, as she was suddenly very ill. We are grateful that she seems to be recovering and is getting good care in the nursing home where she has been living. We praise God that she has committed her life to Christ and pray that her relationship with Him will continue to grow. As a church family let’s be prayerful for Lloyd Brubacher’s family. Lloyd is very low and unresponsive and the doctor has indicated that his time on this earth is short. Pray for Candie, Kevin & Joyce and their family along with Rick & Cindy and their family that they would know the LORD’s strength during this difficult time. The Lord is with them like it says in Isaiah 41:10 “So do not fear, for I am with you; do not be dismayed, for I am your God. I will strengthen you and help you; I will uphold you with my righteous right hand.” The family is balancing keeping up their strength and being with Lloyd at Heritage House. Update on Vera's back pain: First - let me say a huge THANK YOU to those of you who have been bringing meals and praying and supporting us in various other ways. You have been a special blessing during this challenging time. The CT scan I had last week showed that the root cause of this pain is a slightly herniated disk in my lower spine. So it will take some more therapy and patience. God has been faithful in keeping our spirits up in ways that we did not expect. We are NOT alone!!! Raul (Jessenia’s husband) has received his visa, and Jessenia and Raul will be visiting us at Christmas. Praise the Lord for answered prayers! Please pray for Carole’s mother who is currently experiencing mini strokes and also has pneumonia. Please pray for her healing and for her salvation. Norm and Carole left to go north this morning to be with the family. Pray for Ron and Win as they are in Israel from November 28-December 10. We just received confirmation this morning for the rescheduled procedure date. It is scheduled for December 14. They will Lavage only one lung and the second lung lavage will be scheduled in the new year. We ask for prayer that Brian can stay healthy until then and that it doesn't get cancelled, otherwise it will wait until mid-January. Isaiah DeMol and Lindsay Letkeman are getting married at WBC next Saturday, November 24! *Update to post from November 5. Shirley’s surgery date has been rescheduled for November 23. Pray for both Dave and Shirley during this time of waiting. Ollie & Elsie would like to thank they church family for prayers and many ways of loving care during their recent health care issues. Tiffany Shantz & Kyle Laronde are getting married this Saturday, November 17! Congratulations to Dwight and Cindy Martin on the birth of their son, Colton James, in the early hours of November 12! *Refer to post from September 27 for more information. I am currently beginning a 6 week schedule of daily radiation treatments, and am scheduled to end just before Christmas. Prayers are greatly appreciated for safety as I travel back and forth to the hospital, as well as for strength to handle this busy treatment schedule. We are so thankful for our church family that has walked alongside us through prayer and practical support. Please pray for the Freeman family, and especially Colleen, as they mourn the loss of Colleen’s stepmother, Annie Bauman, who passed away on Saturday, November 10. Pray for peace and comfort for the whole family during this time. Visitation will be at Dreisinger Funeral Home on Tuesday, November 13 from 7-9pm, as well as on Wednesday, November 14 from 2-4pm and 7-9pm. The funeral will be held on Thursday, November 15 at Crystal View Mennonite Church at 3:00pm. I (Vera) have been dealing with severe back and leg pain for several weeks now. I keep thinking any day now it will ease off, but that doesn't seem to be happening. I'm having great difficulty doing even the smallest task. Since this is also adversely affecting Elmer, and I am not able to offer him the help that he needs, I am concerned that this situation should not last too long. However I'm totally confident that God is in charge, and want His will in our lives. Please pray for us as we muddle our way through. Pray for guidance in navigating the health care system to search out help and answers to this situation. Please pray for Dave & Shirley as they process the news of a breast cancer diagnosis for Shirley. (Shirley has previously been treated for this cancer.) She has a surgery date scheduled for November 15. They are grateful that it is still in the early stages. Update on note from October 21. My husband Rick is booked for an MRI this Saturday, November 3 at 7:00 pm. His medication for the nerve pain are finally being effective, however, he still has a lot of pain while walking, sitting, well any movement really. However he's in good spirits. Hopefully once the MRI is complete there isn't a long wait to see the surgeon. Thank you for all the prayers. God has certainly given me all the time and energy I need to get kids where they need to be and get work done and Rick looked after every day. It's been truly amazing. However I really could have done without this terrible head and chest cold (currently on antibiotics for a sinus infection). Please pray for Abe & Tina Peters as they head out on a 2 week missions trip to Haiti with ‘Hands Up International’. They will be leaving November 2 and returning home November 16. While in Haiti, they will be working on building projects, such as a school, a church, and the pastor’s house, as well as distributing food. Pray that Abe & Tina will have a safe trip, and that they can be blessed by the work they are doing, and bless those that they are serving. Due to complications with the surgery prior to Brian’s, they had to cancel his. They will reschedule his lung lavage ASAP. It is very discouraging but we know the Lord has it under control. *Refer to post from October 25 for more information. Dave is now home from the hospital. His brain needs a bit of time to heal, and he is not yet ready for visitors. Dave and Norma and family are thankful for all the prayer support. Let’s continue to pray for a smooth recovery and healing process, and for strength for Dave to face what is ahead. *Refer to post from October 22 for more information. The family is grateful for a successful surgery this past Monday which completely removed the tumor in Dave’s head. They are waiting for the severe nausea to subside before considering discharge from hospital. Please continue to pray for Dave as he continues a long recovery process. Thank you for praying for Elsie who recently spent several days in hospital as a result of experiencing stroke-like symptoms. She arrived back home on Wednesday and will be following up with her doctor in the next couple of weeks. *Refer to post from October 18 for more information. Thank you for your prayers! Diane’s eye surgery is done and the surgeon happily told us he didn’t run into any of the concerns he had for this eye. He expects good results. *Refer to post from October 1 1 for more information. Thank you to everyone who has kept Dave in your prayers. The surgery went well and they were able to remove the whole tumor. He is now in recovery and will remain in ICU until tomorrow evening. Your continued prayers would be greatly appreciated as he is recovering. *Refer to post from October 19 for more information. An update from Julie regarding her husband Rick: I had Rick to the Doctor yesterday, and the Doctor has requested an emergency MRI and an emergency appointment with the orthopaedic surgeon. Rick has lost some function in his left foot, and the Doctor figures it is a herniated disc in the lower back. Hopefully we will have appointments in the next few days and get a surgery date soon. Once the surgeon has the MRI results, we will know how bad the disc is, and will have a few options on how to move forward. Our prayers were answered in that the doctors are now agreeing to an emergency MRI, which up to today has been denied. Keep praying for answers for Rick’s continued pain, as well as peace for Julie and the whole family. Julie Cluthe asks WBC to pray for her husband Rick who is in excruciating pain with a herniated disc in his back. He is scheduled for an MRI on November 23. She has asked Joy Frey to be the contact person for her at this time. Diane is having cataract surgery Oct 24 and Nov 19. The first one is more difficult as she has both anterior and posterior cataracts so the surgeon has not even been able to get a good look at what he will encounter. They would appreciate prayer for these surgeries and her continuing recovery from knee replacement surgery. As some of you may know, Brian is a recipient of a double lung transplant in May of 2012, due to an invasive disease that attacked his lungs called Pulmonary Alveolar Proteinosis. 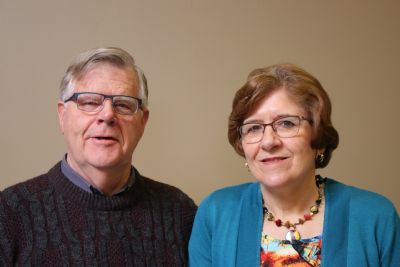 His quality of life improved greatly after the transplant, until with in the past year, as the disease has returned and has now attacked his new lungs. Since there is no cure for this disease, it can only be maintained. As a result, he is scheduled for a Lung Lavage on October 30. The transplant team at Toronto General Hospital has never performed a Lung Lavage on a transplant patient before, and so there are new risks involved. The transplant team will Lavage only 1 lung at this time and if it is a successful procedure they will schedule for the 2nd lung in a approx 4 weeks. There are many many questions that we cannot answer right now and may never have answers for. Brian has had 17 Lung Lavages prior to his transplant, so this procedure is nothing new to us, aside from the new risks due to being a transplantee. We were told that he could remain in the hospital for 3-10 days, as we do not know what his recovery will be. I will be staying in Toronto for approx 2-3 days until he is stable, and will commute after that until he is home again. We ask for your prayers as we we journey through this time. We know the Lord is with us now and will be then as well. The peace and comfort of the Lords presence that we experienced during the transplant was unexplainable and was an obvious result of prayers. We trust in the Lord to walk us thru this and have no doubt that He will be there with us again. Dave and Norma appreciate prayer for Dave who has been scheduled for surgery on October 22 at University Hospital in London. Surgeons will take up to eight hours to remove a noncancerous tumor behind the brain which has affected hearing in his right ear. Dave will spend about five days in the hospital and up to three months off work. 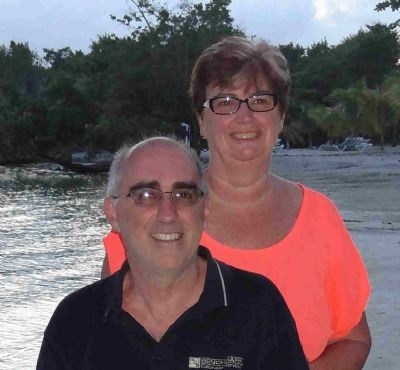 Please pray for Joy, Dale and Darrell’s sister Marlene Martin, as Marlene suffered multiple broken bones due to a motorcycle accident last night (October 11) in Orangeville. She was taken by ambulance to Sunnybrook in Toronto. Pray for peace and strength for Marlene as she recovers, as well as for the whole family as they support Marlene through this difficult time. Ben and I have a prayer request... I woke up this morning to about 3 inches of water all over the basement because a pipe blew on our water heater. Praise God Ben is a plumber (very thankful for that on this thanksgiving holiday!) our new home will need a lot of TLC and we could use all the prayers we could get as we work together to fix this! Thanks! Please pray for our mother Susanna Brubacher as she has recently been diagnosed with cancer again. She is booked for surgery in two weeks after which a treatment plan is pending. Darrell is having Endoscopic Sinus Surgery on Thursday October 11th. This will require a short hospital stay. Our hope is Darrell will have excellent care and this surgery will enable him to breath clearly. The doctor has suggested 2 weeks off work. We appreciate your prayers. *Refer to post from September 26 for more information. She (Mina) is feeling less pain, with some pain still left in her stomach. They want to release her and asked her to take more antibiotics at home. They told her “your spouse should take care of you for two weeks”. Your prayers are appreciated. Thank you. *Refer to posts from June 1 and September 7 for more information. On October 2nd, Jen is scheduled for surgery. They would love prayer for the surgery to go well and that it will be successful. Please pray for peace for Jen and the whole family as the time approaches. Since Saturday night my wife Mina got severe pain in the left part of her stomach. She got some pain killer and managed to come to attend our Sunday service. After we came back the pain was more sharper. 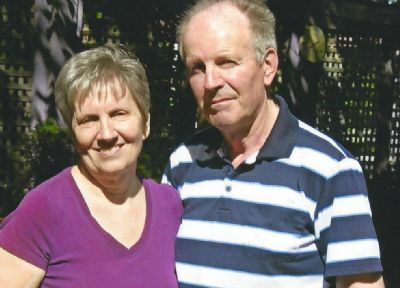 On Monday she saw her Physician and he sent her right away to the North York General Hospital. Today Tuesday Mina is still there under different examinations (ultrasound, CT scan, MRI, ...). It seems there are some kind of blockage with infections in her big colon which they try to reduce the pain with antibiotics. Please have Mina, our son, Sina and myself in your prayers. A huge thank you to everyone for your prayers and practical support! We have been so blessed by the WBC family. Your care for us has been a very positive testimony to the insurance company and restoration team! On October 1 we will be moving into a rental home in Elmira (covered by insurance). The address is 4 Finch Place, Elmira. They could still use the following: small dresser, gift cards for Walmart, Foodland/Food Basics, Costco, Dollarama. If you have questions please contact the church office (519-669-2319 ext. 1) or call/text Evelyn at 519-577-1045. *Refer to post from September 17 for more information. A big thank you for all prayers and to those people who have been reaching out to us this past week. God has blessed in so many ways through you as a church family. An update: we have been blessed with a short term rental home in Elmira as of October first, and it is approved by insurance. Praise God! Please pray for Clayton & Anna as they mourn the loss of Clayton’s younger brother, Enoch, who passed away early this morning at Grand River Hospital. The family will receive relatives and friends at Crystal View Mennonite Church (2167 Floradale Rd., Floradale) on Friday, September 21, 7:00-9:00 pm and on Saturday, September 22, 2:00-4:00 pm and 6:00-8:00 pm. The funeral service will take place at Crystal View Mennonite Church on Sunday, September 23 at 2:30 pm. Interment to follow in Crystal View Mennonite Cemetery. We received a letter from our sponsor child Jose from Nicaragua asking for prayer for him and his family as their country has fallen into civil war. He can no longer attend school because of it. Please pray for their safety and for peace to return. Please pray for Jasmine and her family, as Jasmine flies out today to Ecuador to serve at the the Hope of Bastion School for 3 months! Please pray for Alex and Ellen Shantz. Alex had a fall which resulted in the fracture of a small bone in his back. They are very thankful he is still able to walk and work. Alex is restricted to not lifting anything for 8 weeks. They are moving next weekend and would appreciate prayer for patience and healing. Please pray for Perry & Karen Weber as they mourn the loss of Karen’s father, Harry Eix who passed away on Sunday, September 16 at Grand River Hospital. The visitation will take place on Wednesday, September 19 from 7-9 pm at the Dreisinger Funeral Home in Elmira. The memorial service will be held on Thursday, September 20 at 11:00 am at St. Paul’s Lutheran Church, 27 Mill St., Elmira. Please pray for Cleason and Evelyn Brubacher and family, as they have had a house fire late Saturday afternoon/evening (September 15). Everyone got out safely, but please pray for the whole family in the coming days and weeks as they deal with everything that is to come. Pray that they will feel comfort and the love of both God and everyone around them. *Refer to post from August 7 for more information. We are so thankful to God for the news we received after Tim's moms last doctors appointment. Her cancer numbers have dropped from 48 to 4 (normal numbers are between 1.5-4). Her blood pressure is good and her cholesterol is great! She will continue monthly treatments until January but the doctors are very pleased with how well she is doing. To God be the glory! Congratulations to Jerome & Kirsten on the birth of their daughter Eliana Catharina on Sunday, August 26! Jen has finished her chemo treatments, and she came through them fairly well - Praise the Lord! Continue to pray for both Rod & Jen and family as they navigate this trying journey, and that they would feel the Lord's peace and comfort as they continue moving forward. We just found out that our sister-in-law Kelly passed away this evening. Yesterday afternoon, we were able to partake of communion with Bruce (Dave's brother), Kelly, their pastor, and several others of our family at their house. Afterward, we were able to each say a few things at her bedside. She was able to actively participate in communion, and she understood who we all were and what we were saying. We are so thankful to have gotten to know Kelly over the past fifteen years. We are glad that her suffering is over, and that she is in heaven having a wonderful time. Please pray for us as we go through this time of grieving. Pray for Ben (their fourteen-year-old son) who started high school today. Pray for Bruce as he grieves and also has to get used to life without Kelly. Please pray for Marlene Bearinger as she mourns the loss of her brother Ronald Brubacher who passed away Saturday, September 2. Visitation will be at Dreisinger Funeral home on Wednesday from 2-4 pm and 6-8 pm. Interment at West Montrose Mennonite meeting House on Thursday at 1:00 pm followed by funeral service at Wallenstein Bible Chapel at 2:00 pm (refreshments to follow). Please pray for our family and extended families. Our sister-in-law (Kelly Van Der Molen, married to Dave’s brother, Bruce) was diagnosed with melanoma about 1 ½ years ago. They have tried many different treatments and none are working. The cancer has spread to her lungs and brain and there is nothing more the doctors can do. She is currently receiving palliative care at home. She seems to be slipping fast. Pray especially for Bruce and their son Ben (14 years) as they try to savor the last few days with their wife and mother. Our hearts break for them. In spite of the sadness, we are grateful that Kelly knows the Lord and will soon be free of all pain and cancer. Congratulations to Scott & Brittany Albrecht on the birth of Lucy Marie Wednesday, August 29! Thanks everyone for your prayer support and care. I am starting to feel like the pain is being brought under control and that there is visible progress. I will see my surgeon for removal of the staples on Friday and a check on my range of motion. I appreciate your continued prayer for patience and endurance in this journey. Brandon & Steph are getting married tomorrow (Saturday, August 24)! Please pray for the Remers family, as Wally's brother, Herb, recovers from heart surgery (August 21) following a heart attack last week. Pray that the whole family would find peace and comfort in knowing that the Lord's hand is in all things. Krystal left Saturday to return to Mercy Ships for a few months, and she has safely arrived at the ship! Please continue to pray for Krystal as she serves in this way, and that she will find the Lord's strength as the completes the work she has been called to. Surgery went well. I haven't been able to sleep in my bed since coming home due to pain, so I have been in the recliner. I would appreciate prayer for wisdom managing pain control since my body is having a hard time with the pain medication. Please pray that the Lord would give Diane comfort and rest during this time of recovery, and that she would be able to look for the good, even through the pain. We are grateful to begin to see a measure of recovery for my dad after very serious abdominal surgery to repair multiple aortic aneurisms. Recovery has been slow, the surgery more difficult than anticipated, but God's hand has been evident. Please pray for all of us as the new realities of life moving forward will require adjustment. Thanking the Lord for His strength and care through these past 3 weeks. Please pray for Brian (Ann) and Brent (Jan) Martin (and their whole family) as their father, Amsey, has been diagnosed with multiple myloma, a form of blood cancer that affects the bone marrow. The journey to get a diagnosis has been difficult and chemo treatments start on Monday. May the God of ALL comfort continue to walk with each one and especially Amsey through this difficult time. Diane appreciates prayer as she goes for knee replacement surgery this coming week (August 16). Please pray for Andrea and Cara as they depart for Niger August 12 for Cara to start classes August 14. Phil returns to Ghana on August 15, arriving about the same time as Andrea coming from Niger. Over the past week and a bit Margaret has been having dizzy spells. Yesterday things took a turn for the worse and she was taken to hospital via ambulance. On the way to the hospital the paramedics actually said her heart had stopped for about 3 seconds. She was admitted to the ICU for observation and is now going in for surgery today to insert a pace maker. Thankfully most of the family was there when all this happened and we were able to take our boys to see her in the hospital as it was scary and confusing for them to see her leave in the ambulance. Tim is still in Peterborough with his family, but I had to come home for work. Lucas is also still there as he starts 2 weeks of camp up there today. Her heart was never the problem, at least we didn't know it was, and now the chemo she was supposed to be starting today will be postponed until they can get her heart problems under control. Peg and I would appreciate your prayers for my father who we are expecting will have a surgery to repair an aortic aneurysm this coming Friday morning (August 10). The LORD's hand has been evident in both the discovery and timing of tests so we know God's hand is with him. We pray that the surgery will do well and we can be a strong testimony for the LORD through this difficult time. Please pray for Henry & Alicia and their family as their youngest, Kassidie, will be leaving soon to live with her biological mother. They invite us to pray for Kassidie - for her safety and the transition of her not being with the other Boese kids. Also for Avery, Arianna and Abigail as they learn to deal with their sister not being with them as the have formed a special attachment with her. And also pray for Henry & Alicia as they manage this transition as it has been pretty hard so far. Avery especially is going to be taking it the hardest. Please pray for Keith & Lorraine as they mourn the loss of Lorraine's father, Henry Bauman, who passed away Wednesday, July 25. Visitation will take place at the Dreisinger Funeral Home in Elmira on Thursday, August 2, 2018 from 4-8pm (there will be no public service). It was great to have Russ & Meredith and family with us at WBC for a few weeks! Please pray for them as they have began the drive back to Florida today. 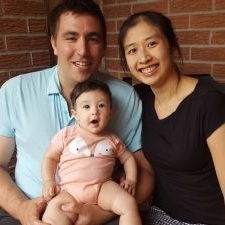 We wanted to express our thanks for your prayers, support and care for us as foster parents to baby D. Our time with her was truly a blessing from the LORD and we grew to love her deeply. D is now placed with family and for her we are believing that God has a bigger plan and we desire to faithfully serve him in whatever doors open as a result. Please continue to pray as this transition time is difficult both for us and our families. Please continue to pray for Ron Bauman whose sister, Verna Frey, passed away Sunday, July 15. Evelyn came home from the hospital last evening and is slowly getting to normal activity. The heart issue has been narrowed down to atrial fibrillation needing to be controlled with proper medication. Thankfully the pain is gone but it is still mysterious what caused the pain. Continue praying that there won't be any more problems and that Paul & Evelyn can have a good family vacation at Wildwood Bible Camp in August. Please pray for Evelyn Hoffman who was admitted to St. Mary's Hospital on July 14 regarding pain and concerns all related to her heart. Thankfully Evelyn isn't having pain today, but will stay in hospital for more monitoring and tests until the doctors feel they have found the cause of her arrhythmia and atrial fibrillation. Although Evelyn isn't in pain, the hospital isn't a particularly pleasant place to be, so please pray for peace and comfort for Evelyn for the duration of her stay. Pray for Leavea as she is back in the hospital. Please pray for rest and that the doctors can find what is wrong quickly. Kevin had back surgery on June 12. Please continue praying for healing of his back and for patience. Pray for the family as they grieve the loss of Darlene's father, Amsey Bowman who died Monday morning. Details of visitation and funeral will be posted when they become available. James had surgery back in February to remove a small tumour from his bladder. He had a check-up today and the Dr's report was "Everything looks really good"! Another check-up is scheduled for the end of the year. Please pray for our newest Stephen Minister graduates as they get paired up with people in the coming weeks. All of the ministers put in a lot of time and effort to helping those that are hurting in our congregation, so please pray that they can be motivated by the work that they do. Please pray for the youth groups as Rod & Jen are stepping back from their leadership roles. Pray that God would reveal the right people to take over the position moving forward. Jen has been diagnosed with breast cancer and is currently undergoing chemotherapy treatment. Please pray for the Clemmer family and that the treatment would be effective and as painless as possible.